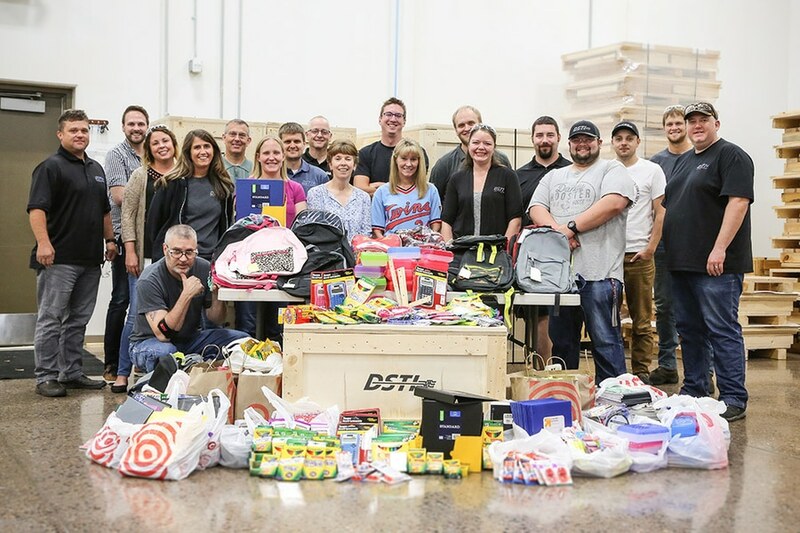 DSTI Employees Help Homeless Students Gear Up for Back to School - 13829 Jay St NW, Andover, MN 55304, USA - DSTI - Dynamic Sealing Technologies, Inc.
Nearly 600 Anoka-Hennepin School District students are currently experiencing homelessness, according to the Minnesota Department of Education. DSTI, with support from the Anoka-Hennepin Schools' Homeless Outreach, Prevention and Education (HOPE) Office, held a school supply drive and collected items to make sure local, at-risk children had everything they needed to start of the year off right. "Today, you made kids smile," said Anoka-Hennepin Schools Homeless Liaison Jessica Jasurda. 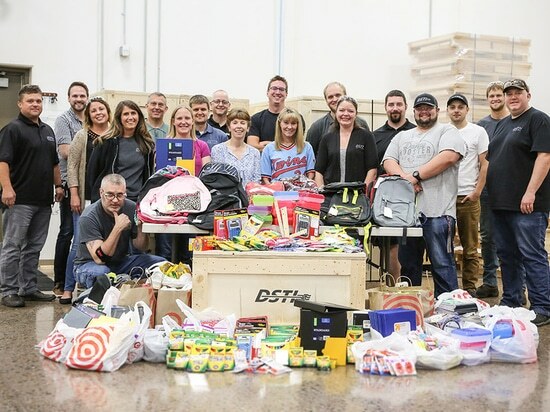 In total, more than $1,500 worth of paper, pencils, pens, backpacks, calculators, and other must-have supplies was donated by employees and DSTI. "Your donation was so much more than supplies. You gave them the gift of pride, confidence and belonging," added Jasurda. "Giving back is deeply rooted in our culture. Our employees continue to demonstrate their generosity and support in the local community where we all live and work. I am very proud to be part of such a wonderful team," said DSTI President Jeff Meister. DSTI supports many charities and non-profits through donations and volunteer work. In November, employees will continue their generosity and take part in a Thanksgiving food drive benefiting local families in need.